The terminal is used by Delta. It has three concourses, A, B, and C, with 121 gates. 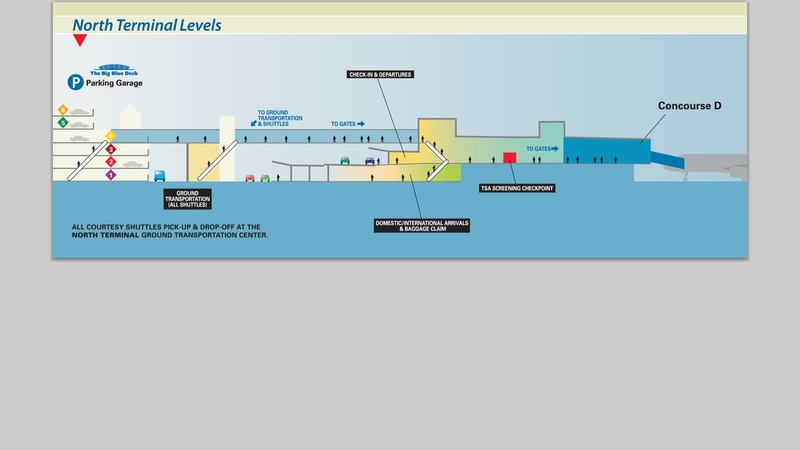 The A concourse contains 64 gates with 12 gates being used for international departures and arrivals processing. The B and C concourses have fifty-eight gates. 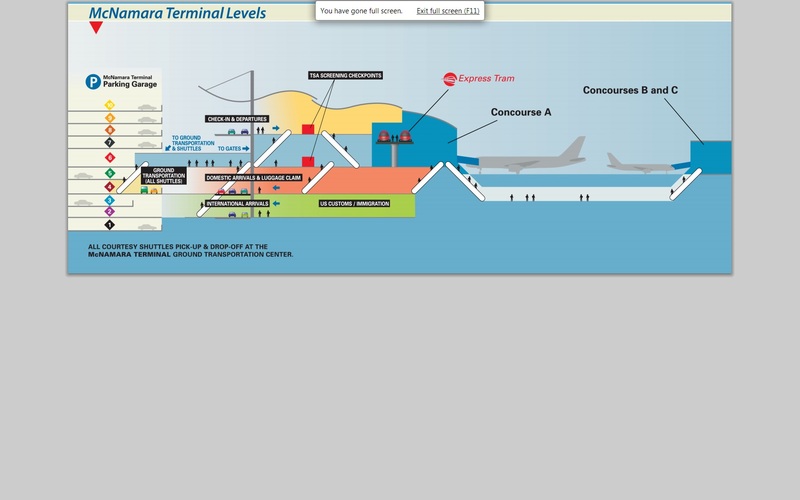 The B and C concourses are connected to the main terminal building and the A Concourse by a pedestrian walkway. 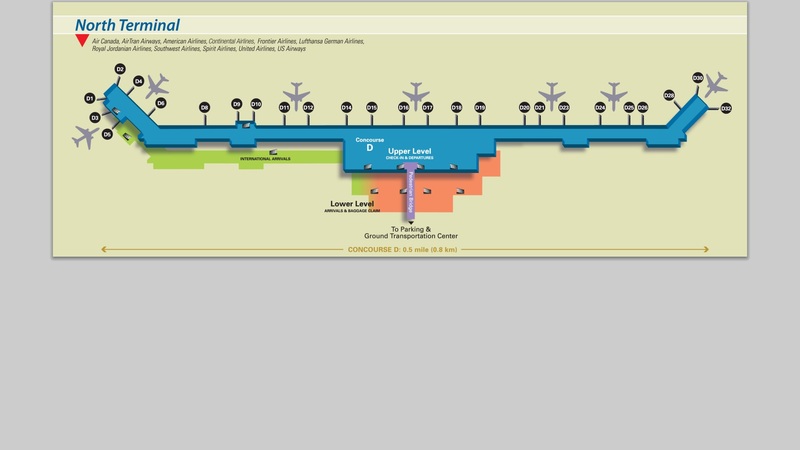 McNamara terminal has moving walkways, the A concourse has a people mover. 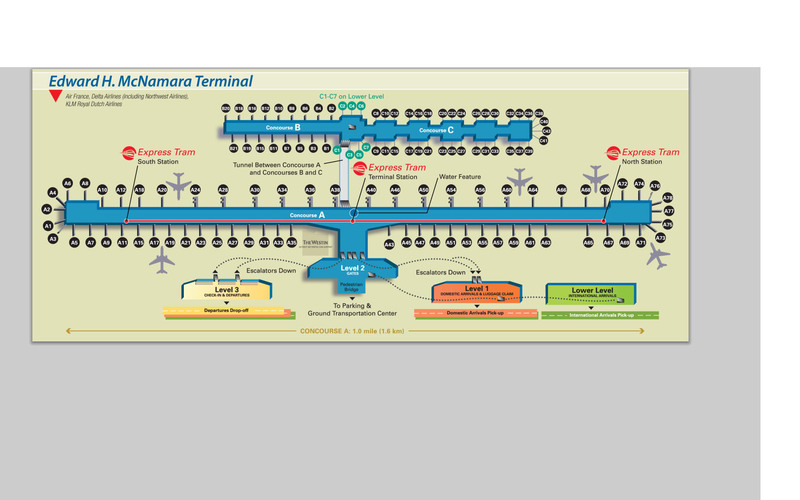 As the McNamara Terminal has Concourses A, B, and C, North Terminal is considered the “D” Concourse of the airport. The concourse holds 26 gates. 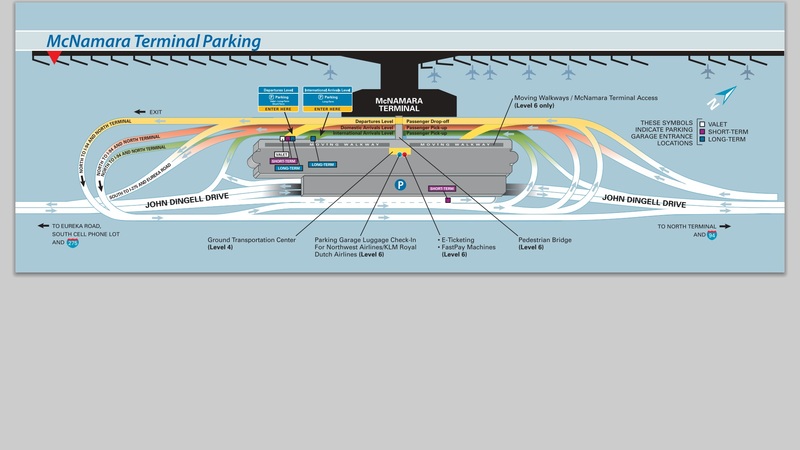 The McNamara Terminal Parking is one of the largest parking structures in the world. The structure can park 11,489 cars. Garage parking in the North Terminal know as the Blue Deck. Two additional outdoor lots, named “yellow” and “red,” serve as overflow parking. 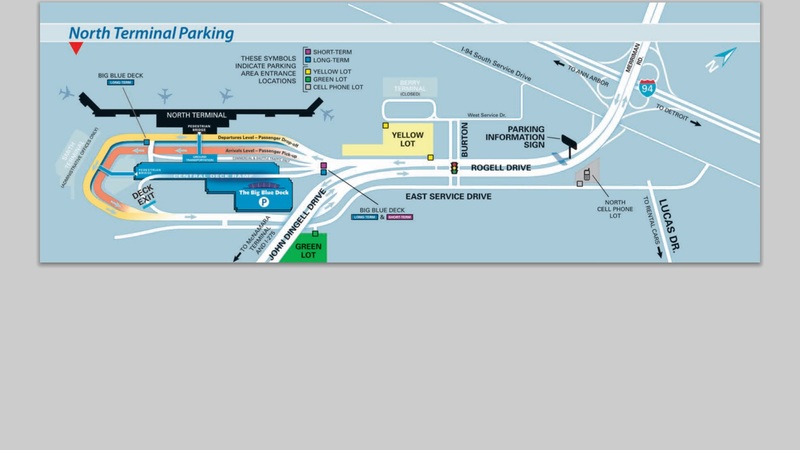 Privately owned parking lots are located outside airport grounds (,Park ‘N’ Go, Qwik Park, U.S. Park, Airlines Parking). 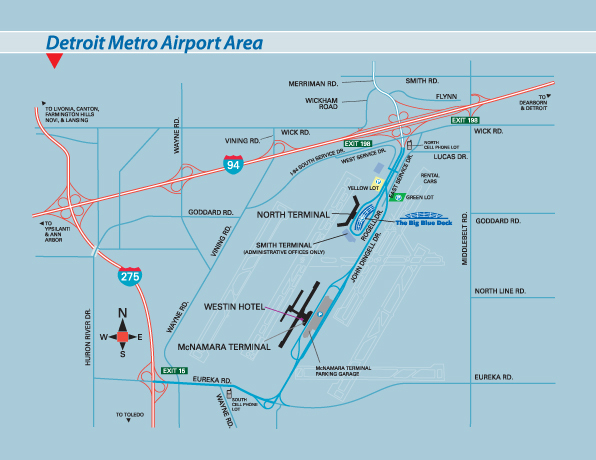 Motorcycles can be parked in a separate covered area from cars at the McNamara Terminal Parking Structure and Motorcycle parking is free at Detroit airport. 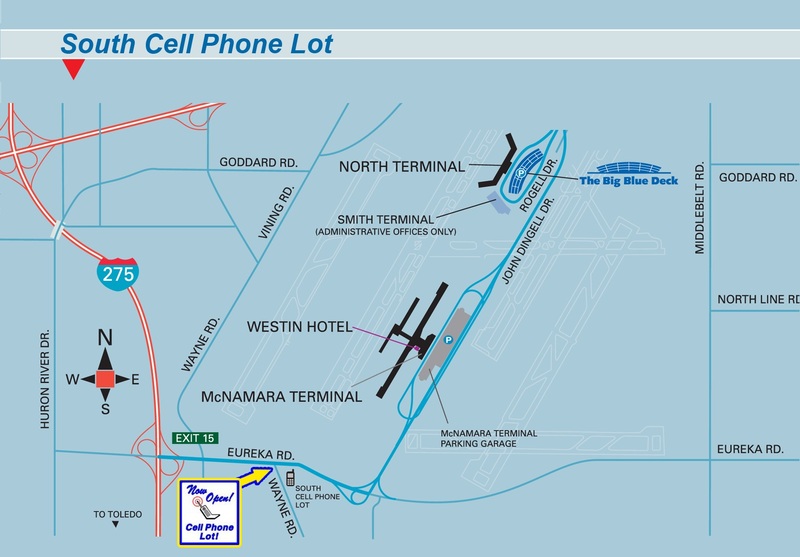 The McNamara and North Terminals also have cell phone lots. The McNamara Terminal cell phone lot is located on the south side of Eureka Road between I-275 and the airport entrance ramp. 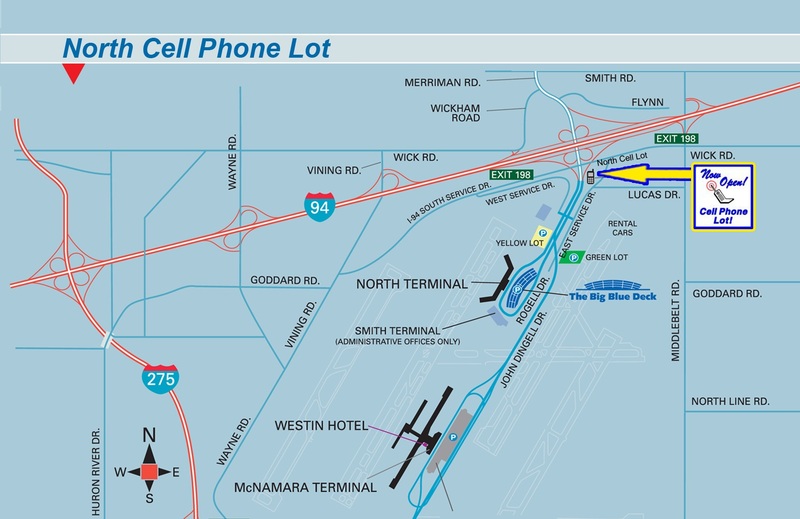 The North Terminal cell phone lot is located near I-94 at Middlebelt Rd exit near the airport car rentals.